The winter period can cause change in the natural PH of the skin. The air is dry and it strips the natural oils from the skin. This can leave the skin looking dull and lacking natural radiance. However, this is not the time to spend your hard-earned money on expensive nourishing lotions and anti-aging creams when there are beneficial oils that you can use in your kitchen cupboard. Olive oil is a rather heavy oil, but a few drops added to a cup with several drops of essential oil will make a replenishing oil for the skin. 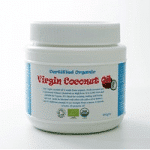 Virgin organic coconut oil is a beneficial oil that is not only useful to prevent dry, aging skin, but it is a useful ingredient to use in baking in place of butter or margarine. Try using it with the oil cleansing method. Apply a small amount of coconut oil to the face, leave it to soak in for several minutes, and then wipe off with a hot washcloth. The oil cleansing method is excellent for removing make up. The skin can breathe again. Contrary to popular belief, the skin relies on its own oils to prevent bacteria and infection. Most of us have bought into the hype that we must strip our skin of these beneficial oils. Instead, try to maintain the natural PH of the skin by using coconut or olive oil to cleanse the skin. A washcloth also makes an excellent exfoliator. The skin is the largest known organ in the human body. It absorbs everything that is put upon it. Treat it with love and kindness. Think of this statement before you slather anything on your skin, if it is edible, it is safe, otherwise avoid. Coconut oil is a safe product for the skin, hair, and nails. When the PH of skin is unbalanced and dry because of cold weather, choose an edible oil like coconut oil and your skin will thank you for this with baby softness and fewer wrinkles. Secret of Coconut Oil Cleansing, Your Skin is Screaming For It.